In case any of you missed it. This is what I’ve been lucky enough to be doing the past week. 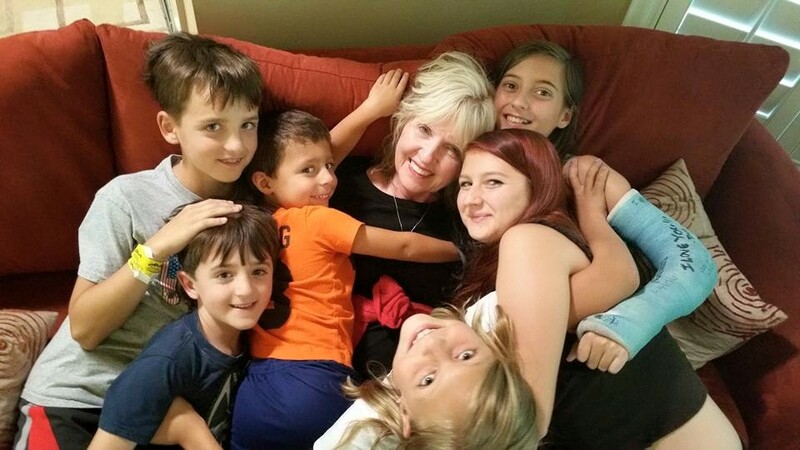 We’ve had non-stop slumber parties with the two visiting cousins from Montana and have sorely missed the other grandchildren not able to be here! But we have carried on valiantly. And it is a stellar time to simply be. We’ve seen movies and played ping-pong and air hockey and designed a gauntlet for a contest in the back yard. It’s supposed to be 95-100 here today in Denver. It will hopefully be an event that will be concluded by noon. A refreshing cool afternoon is on my agenda. The children have expressed themselves by helping me at every turn. Loading and unloading the dishwasher, making grocery lists and accompanying me to the store, creating projects. Exhaustion is on a back burner. School starts in a few weeks. And they are having a blast right now. And of course, when they all leave, I have to return to writing. I’ve missed blogging. Know this is a feeble attempt to get back in the groove. Summer is an attempt to remind us that life is for play as well as work. And that screens and devices for the young and old are useful but can be turned off after all. Previous Article IF ALL ELSE FAILS ….